Before I launch in to the epic tale of the return of one of the crown jewels of British harness racing, I'd like to mention a little project I was working on last week. 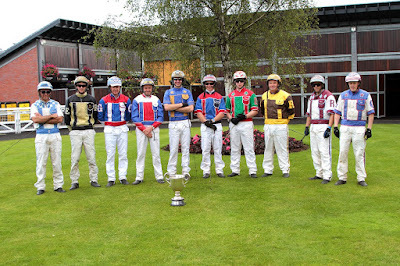 In 2017, there is to be published a World Trotting Conference commemorative book. The UK was asked to submit a piece for inclusion in this book, to include a brief history of the sport in our country, three 'legends' of racing (past or present) with photos, photos of our country's flag and also the largest track in the UK. Kirsty at the BHRC contacted me as soon as the request came in, and with a deadline of 2 days, I set to work with Smarty to write something that hopefully the people of the UK could be proud of. I had been in receipt of a box of BHRC calendars, trotting magazines and race programmes dating back to before I was born a couple of weeks back at Appleby, and must admit they came in very handy when researching two of the legends, who although are still key figures in the sport, had generated much of their success in years gone by. The Hall of Fame entry I submitted to the BHRC for Stoneriggs J R also helped, which allowed me to save time on having to research race records, earnings etc. all over again. All in all, writing the piece was as enjoyable as any other project I've worked on. I genuinely enjoy writing, particularly where I'm learning as I go along, and by the time I have finished an article or report I'm desperate for people to read it and learn the same facts as I have, to appreciate the subject of the article in all its glory. We can be proud of some of the horses, and people, that our sport has produced. Anyway, enough about me and my writing. You're getting enough of that simply by reading this. On Wednesday, Smarty and I drove the 6 hours down to mid Wales to attend a meeting which I have been closely associated with from my time working for the Bevans - Cilmery. It is one of my favourite meetings in the calendar and often throws up interesting results due to the stiff uphill finish - you'll want a good staying horse to win around there. Worthwhile trying though, with £1000 on offer to the winner of the final. With the heats and final in the Open Preferred Handicap format, many people favoured Grade 11 and top 3YO (now 4YO) Coalford Tetrick to win off the second line; when he won his heat, he became the fancied horse for the final, only giving less than 10 yards to Grade 1 horses on the gate. 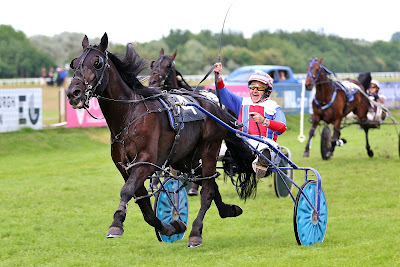 If racing was as straightforward as that, half the people wouldn't be in it anymore, and it was Llwyns Delight, owned by Robin Price and trained and driven by brother Lee Price, STAGBI Director, who won the final after slowing the pace and turning the finish into a sprint. Nobody thought to take on the leader early doors, and coming up the home straight the winner was as effortless as he had been in his heat. One look at his breeding tells you why - Llywns Delight is from the well-known Bon family, his dam being Bon Sian who is also the dam of top racehorse Bon Jasper (who continues to race, and win, with Wales and Borders at 12 years of age). The Bon breeding has been known for generations to produce staying horses, often on the small side, but good, good stayers nonetheless. Our own mare, Dark Velvet, who won a maiden at Musselburgh in 2005, was out of Bon Cheval. A family story that I shall regale you with some other time. Congratulations to all winners on the night; notably Wellfield Ruby, Brywins Vincent and Lakeside Paddy, a promising looking 3YO by Doonbeg. On Thursday night we ventured to Corbiewood for the traditional Musselburgh Eve meeting, after a long journey back up the M6 and a pitstop at David Wilson's to spend some of our winnings from the night before. 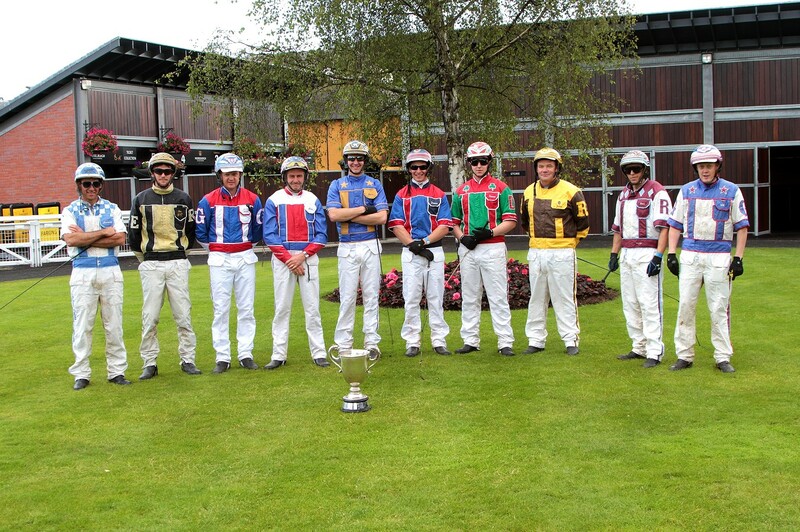 The meeting was poorly supported by horses and indeed spectators in light of the 22 races over the course of the next 2 days. In the past, so I'm told, 'Musselburgh week' was a week-long festival and celebration of racing, with enough horses to stage races both sides of Musselburgh itself. 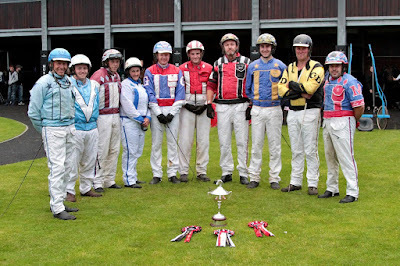 The Sunday fixture which had been scheduled after the premier meeting had been scrapped due to lack of entries, and the Thursday night meeting was made possible after the bookmakers sponsored a final in order for there to be sufficient races. In all honesty, I suspect they needn't have bothered. However, this is not a dig at anybody, but a sad reflection of the sport as a whole across the country. There are less horses now than probably ever, and with that, less people. Something the governing body may need to address sooner rather than later. Nonetheless, the racing went ahead and I was delighted to see young Ross Leary picking up his third win with Miami Seelster in the first race. 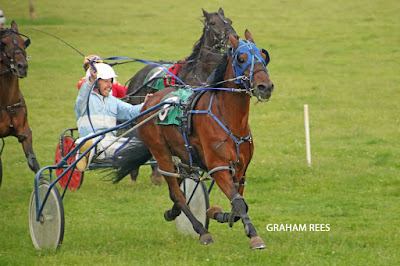 He wasn't able to repeat in the final against Check On Wilma but put in a good drive to get his horse home in the placings. They seem to be quite the double act. Before we knew it, the morning of Musselburgh was upon us. It was also the first day of Britain in it's post-EU form. 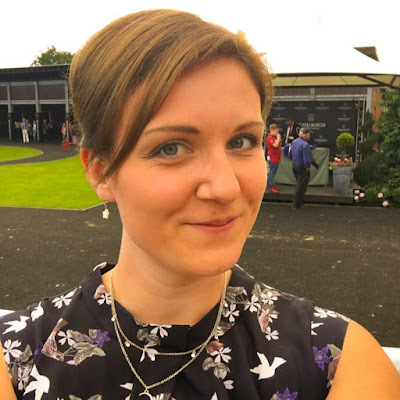 A lack of sleep the night before coupled with an early start meant I was pretty out of it all day and when I arrived at the track just over an hour before the first race, in which Cassius Clay was racing, my nerves were frazzled. I very much like the comfort of knowing my way around most tracks, of knowing what the plan of action is, where I need to be at any time, where I need to take my horses...knowing these things helps me settle and work to a schedule. Musselburgh turns all that on its head and leaves me feeling a bit lost. Because my two boys were being uncharacteristically boisterous, I was forced to stay calm in order to make them calm. 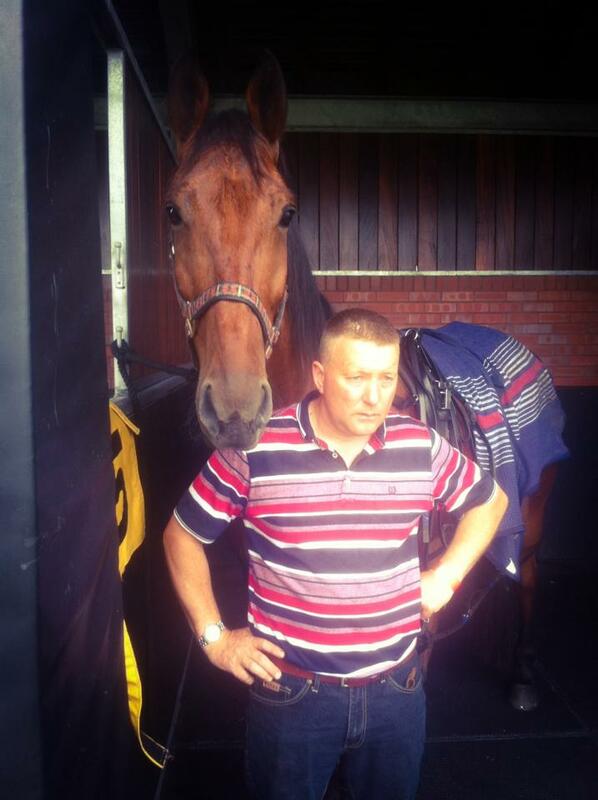 Which, thankfully, worked, and they couldn't have behaved better in the paddock. Cassius ran better than we had expected to finish second in his maiden, in a race not too dissimilar to that of Stevie's two years ago - several lengths between 1st and 2nd, and again to 3rd. Stevie then raced in the third, and despite us hoping we could get him to the final he finished third, just missing out on a spot. However, he ran well and was beaten by the eventual final winner, Cochise. There is no shame in that. We were happy with both horses' performances and have areas which we can work on at home and have learnt something along the way too for future attempets at Musselburgh. After they were both washed, dried, walked and standing on the lorry I was able to watch the racing and enjoy it, and catch up with two thirds of #TeamWellfield, Annette Wilson and Rachel Sydenham. When the three of us together there's usually an open bottle not too far behind, and this was no different to any other occasion!! Great to spend time with them both. 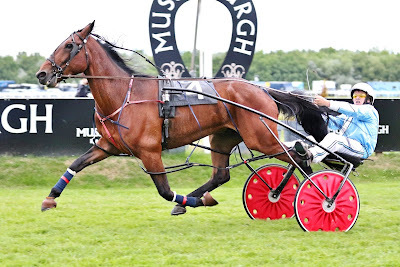 For me one of the greatest things about Musselburgh this year was the young driver who won the final, as well as two other races (the final winner's heat, and another heat which provided his mother with a drive in the final). John Henry Nicholson is only 16 years old, and yet when being chased for the last 2 furlongs of the final by last year's leading driver, never turned a hair. He led out and made all, on the biggest track he will race on in the UK, in a race with some of the top drivers from around the country, and won. Smarty said two summers ago, not long after the boy had turned 15 and started driving, that he was good. 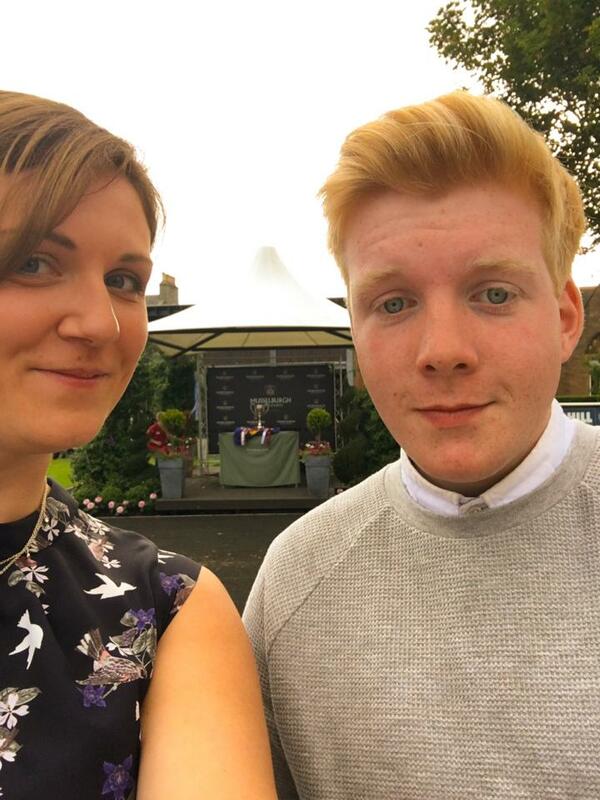 He was driving a horse called Rhyds Beijing at Haugh Field and Smarty told me he was the best young driver in the country. Didn't take him long to prove Smarty right. He didn't fluke those victories on Friday; he drove with confidence beyond his years. There will be many people who may never have the raw talent that that lad has. He'll go a long way. There's also something so wonderful about a sport which allows people of all ages and both genders to compete against each other on an almost level playing field. Harness racing is a sport for all. 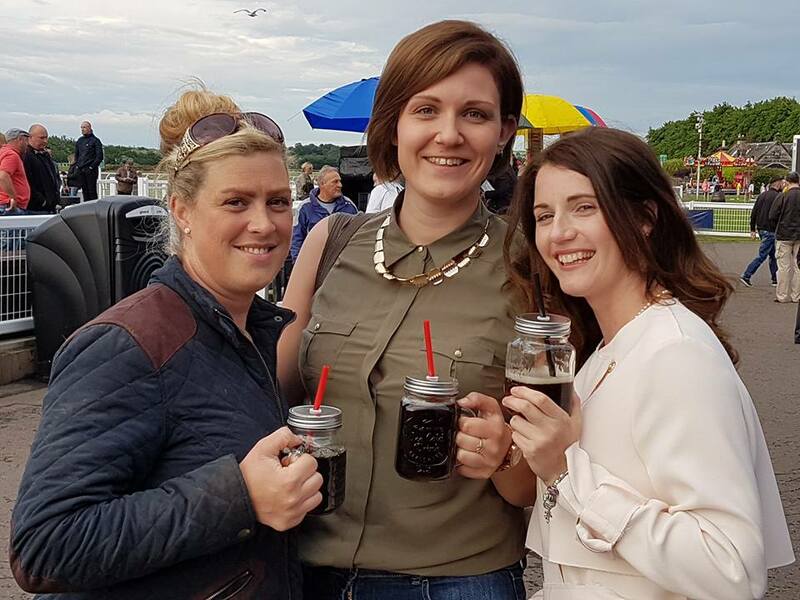 On Saturday we enjoyed the hospitality of the Queen's Stand Restaurant as John sponsored a race in memory of his grandfather who loved the maiden races at the track. 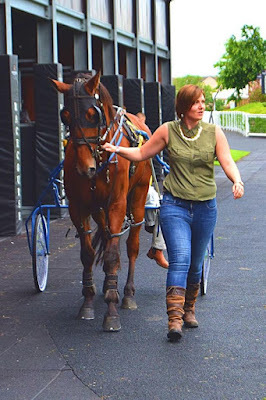 Once lunch was over I took up my position as the most glamorous floor person on the track, although I kept getting distracted by the bar, and Wellfield Earl winning, and then having to lead Wellfield Official around the paddock. Thankfully I have a very understanding 'boss'! 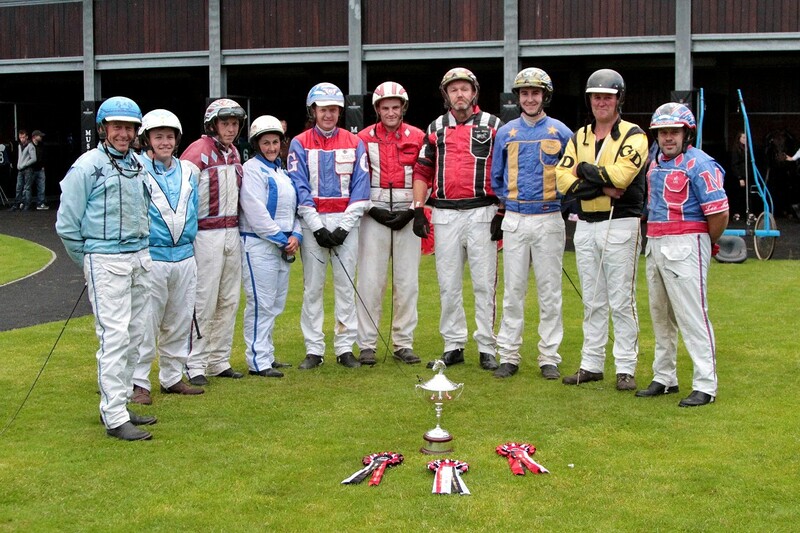 Spot the Famous Musselburgh Pace Trophy in the background! My other highlights from the weekend on top of young Mr Nicholson winning in such style, were Evenwood Ruthless winning his heat by a whisker for Karen Kennedy and then going on to be third in the final, Brywinsmagicpotion romping home in the Hazel Kemp International FFA, Shades Of Grey winning a heat of the Famous Musselburgh Pace and also finishing runner up to her stablemate in the FFA the day before, Out Of This World putting two out-of-this-world performances in for Scott Murray to be second and third in his two races (God knows I was shouting you on Scott!) 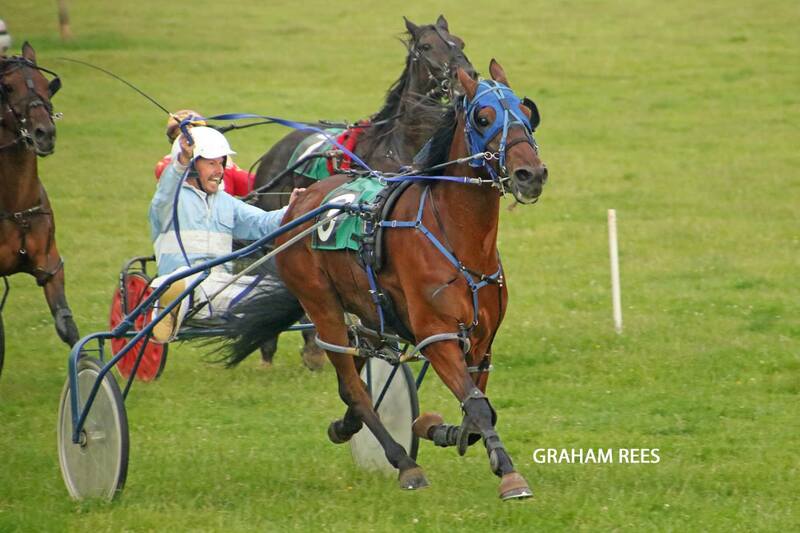 and Sports Trick adding the Famous Musslburgh Pace Final to his Appleby Spring Sunday Final from last month. It was a weekend spent with good friends, too many to name individually but for each and every one of you who made me laugh, I thank you. I look forward to seeing you all at Aberystwyth this weekend, and if not there, then wherever the show takes us after that! P.s. The goat's away on her holidays this week, I'm sure she'll be back shortly!